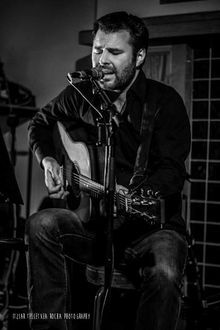 Keith Burke – a lyrically focused songwriter from Ireland, blending elements of Roots, Jazz, Blues and Americana in his music. His third album “These Boys” was released in 2016 and saw him perform for audiences in Ireland, Germany, Lebanon and the U.S. His music received radio play on several National Stations over the past decade and has been used on television. Dave Mooney on bass and Sinead Madden on fiddle and vocals.